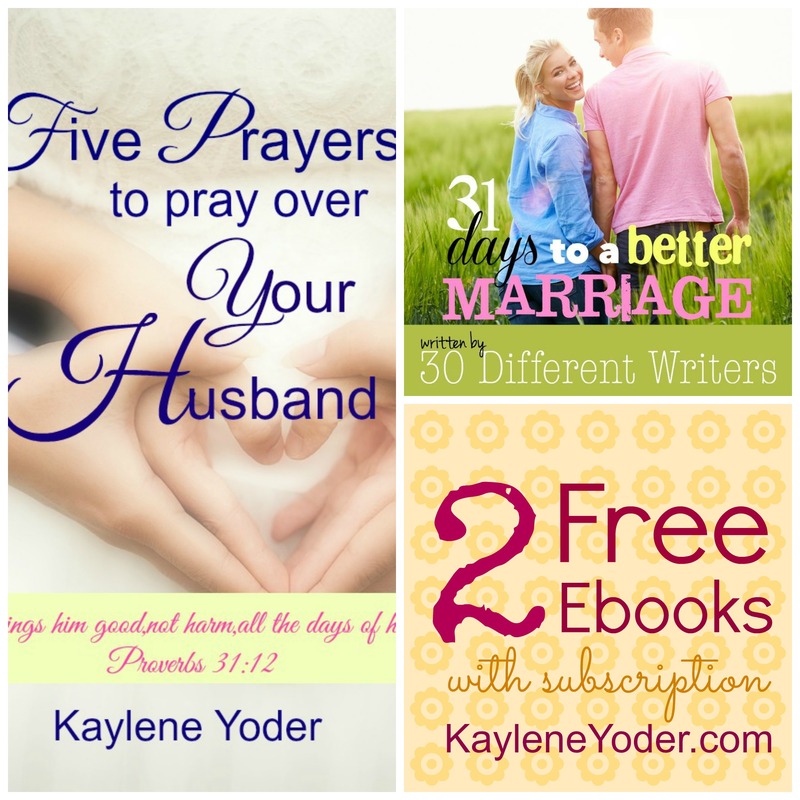 Subscribe to Kaylene Yoder’s blog and she’ll send you two ebooks on marriage: 5 Prayers to Pray Over Your Husband and 31 Days to a Better Marriage. Not sure the link is working. It says page not found after subscribing. Can’t seem to find the E-books, could just be this tech challenged Mama! It just did the same thing for me, too, so I just emailed her and asked her if she could check into it.